Gifts from the Pirates: "Life's like a movie, write your own ending..."
As you all know i love a good collection and toys pretty much take up most of my parenting day. its compulsive behavior that started when i was very young. i had so much respect for my toys and they were really important to me. 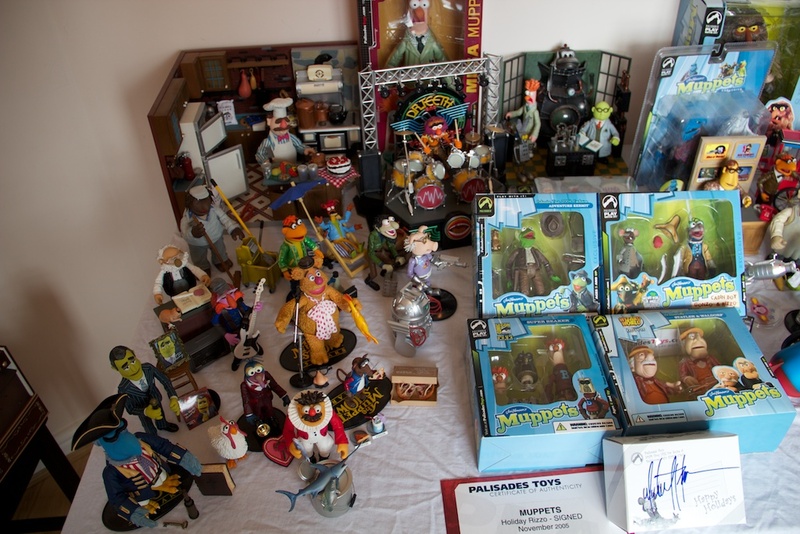 finding other people that are into toys is great, its a topic i could talk about for hours and i love hearing about how people felt about their toys when they were children. 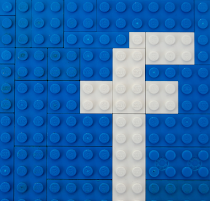 Last month Mrs M came up with the idea of guest bloggers with a post that soon followed by Russell Jones which i really enjoyed reading. 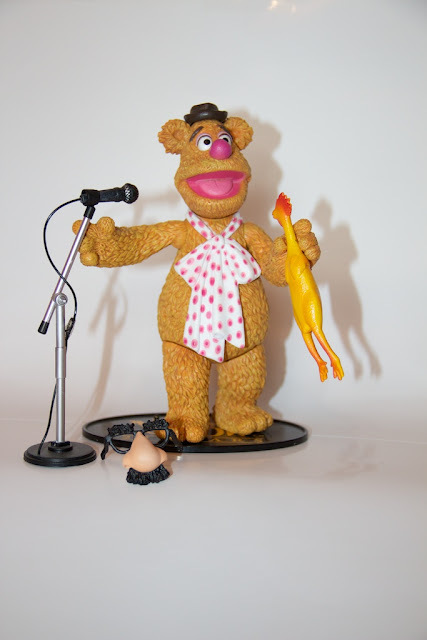 When mentioning the idea to friends i was pleasantly shocked to find out that my good friend Chris has been collecting Muppet's for many years and had quite the collection. After asking (very nicely of course) Chris agree'd to write a post for me and this weekend we went to visit him and Michelle and was lucky enough to see the his toys first hand. It really is a great collection and although i never really got into the Muppet's (mainly because i really don't like Kermit and Miss Piggy) i was a little jealous. 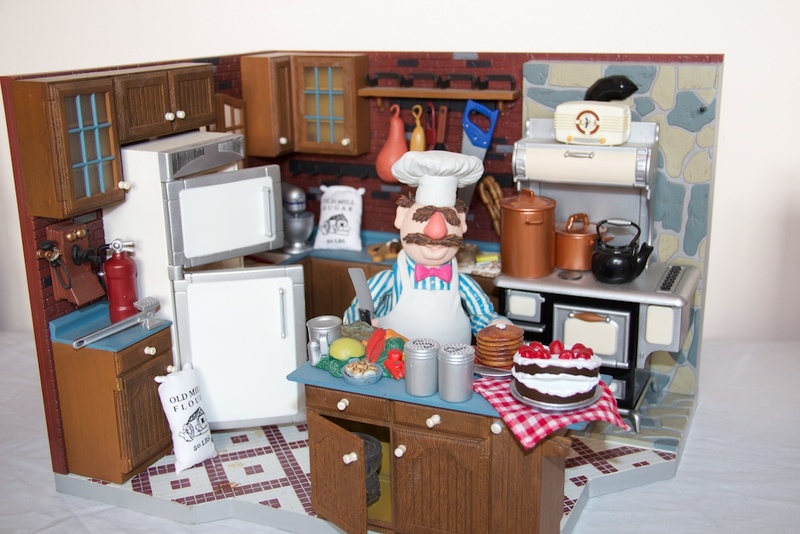 I had never seen any of the action figures before apart from the Swedish Chef Kitchen but i had only seen a picture and had assumed it was a statue scene rather than a play set. After talking to Chris a few nights back we found out he was only missing 7 of the figures so we tracked a Patrol bear fozzie down that he was missing to say thank you for some kind things he has done for us over the last few weeks. 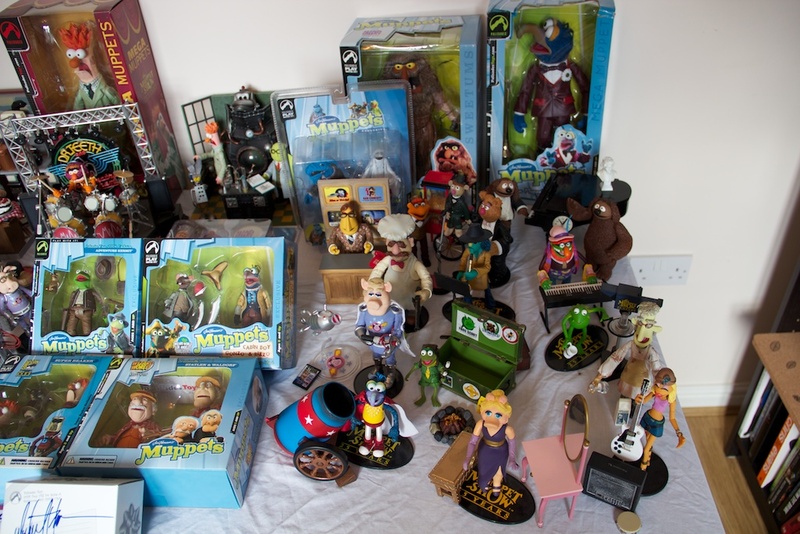 Its crazy even though its not my collection i find myself searching about for the other 6 while I'm on the internet, i even obsess about other peoples collections. 'So, I'm obsessed with the Muppets. Simple story really, as a child I was left many an hour in front of the Muppet Movie and as a result I became a fanatic for those puppets. I remember in the early 80's I watched the first film over and over again; my dad would get us to try and see who could spot Kermit in the opening song first. Of course I always won and almost learnt the script of the film word for word. The songs were brilliant - I loved 'Movin right along' which I still think is one of the best songs they did in any films, even to this day I know the sun rises in the east because of it! The sounds of the Electric Mayhem as they repainted the car are forever etched in my mind too, and I never saw a Studebaker with as an impressive a paint job since. Doc Hopper was the first baddie I even saw in a film too, and no matter how many times I watched it I always found myself hoping he never caught Kermit for that Frogs legs commercial! The cameo's were brilliant - Steve Martin was a brilliant waiter, Richard Pryor as a balloon vendor at the carnival and even Bob Hope appeared selling dragonfly ripple ice-cream. The TV show was so well known for its celebrity guests and the films certainly kept up the tradition. Then came the Muppet Caper, the second film, and for me its the best one. Travelling to London and trying to stop a jewel thief, there was just so much to love - and how could you not love the 'Happiness Hotel'? (four minutes into this video). So on and on the films went, some great ones (Muppet Christmas Carol - surely one of the best xmas films? ), and some that hardly deserve a mention (Muppet Wizard of Oz - a real big mistake). They produced the same unique mix of child and adult humour and to this day I enjoy watching them finding myself laughing at jokes my younger self would never have understood. The muppet's were bright and colourful, the characters funny and fearless. So many great messages for kids to take onboard with them through life. I did go to see the most recent film, The Muppet's, but I was left feeling very let down, it wasn't because the film was that bad; just that it wasn't what I had hoped for the Muppet's. I must say that whilst it was great to see the characters back on the big screen, the way the film was made, especially the huge focus on Jason Segel and his part in the film - I guess that's what you get from an actor who stared and wrote the film. With news of a follow up to this being written, I was delighted to find out that Segel has not been involved - the further he stays from the Muppet's the more likely they are to make a successful comeback. The Muppet Show (1976-1980), was brilliant. I was never around to see them aired the first time around, but re-runs and then the videos and DVD's meant I have seen them all and some of the celebrities who were involved were great sports. I think the Muppet's back then were loved by almost everyone, so being on the show was like a seal of public approval. Steve Martin, Elton John, Alice Cooper, Spike Milligan and John Cleese are just some of the most famous names involved; the Star Wars episode featuring Mark Hamill might even interest the kids of today?! 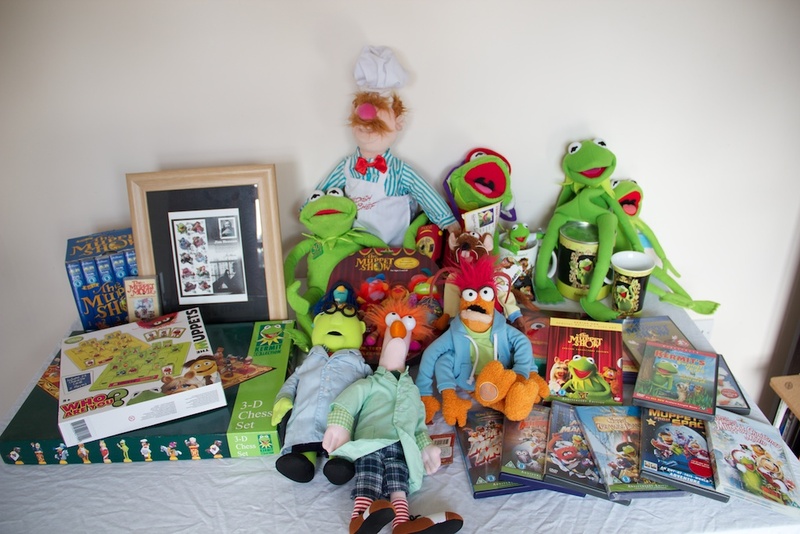 As I grew up my view on the Muppets never really did, over the years I have collected a few bits of memorabilia. In 2001 Palisades released the first of 9 series of action figures; there were to be more figures, but sadly in 2006 the company went bust. 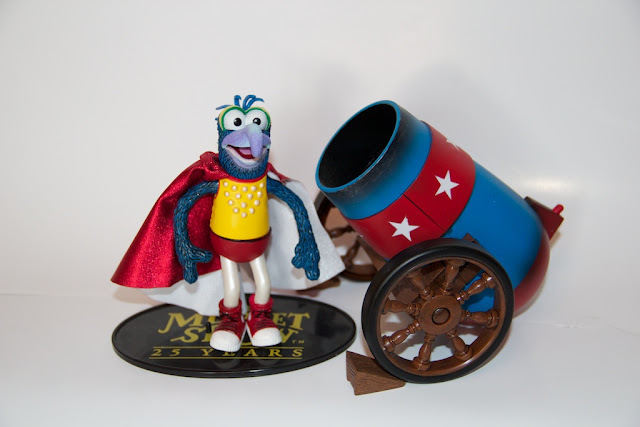 The figures were originally released to celebrate 25 years of the Muppets and so became quite collectible. Luckily I managed to get my hands on most of the figures - even some of the rarer ones including a prototype Rizzo which never actually got released as a general figure. 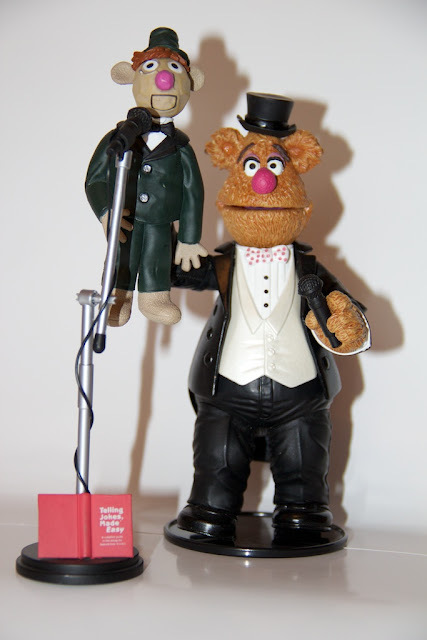 Over the 9 series there were some brilliant figures with some fantastic extras, like the Stepping out Fozzie with his ventriloquist dummy called Chuckie. As well as the figures several series' also had playsets, which included the Electric Mayhem stage, Muppet Labs and the Swedish Chef Kitchen complete with about 40 items (bowls, plates etc), these made fantastic additions to the figures and really helped to expand the range beyond a few models. 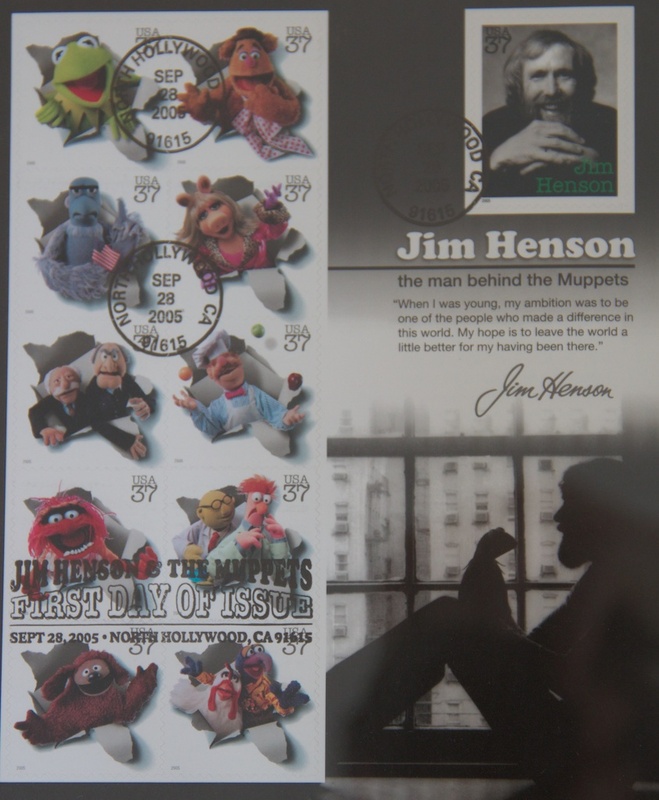 I was also lucky enough to have some very supportive parents during my 'collection' years, and following a few trips to the States, they came back with a few very special items; first was a Macey's special Kermit toy complete with camera and then the first day release of the Muppet stamps which were stamped on that day, something I know I will treasure. I guess that as time moves on the Muppets have become a bit forgotten, and many kids today don't have a clue who they are or what they do. They aren't CGI characters with superpowers who fight in space and morph into cars, so they will always have a tough time to compete. I only hope that they could be appreciated again - I sure know that any kids I have are going to be heavily exposed to the Muppets, I have started trying to get my nephew into them buy buying tshirts and toys! I really enjoyed reading this, its clear that Chris REALLY likes the Muppet's and its great to hear about someone else that is as passionate about toys as myself. The collection im sure will continue to grow and ill be hoping that him and Michelle do have children so that Chris can experience the excitement on your childs face when you introduce them to things that you love yourself. I'm sure i will continue to search about for the 6 missing figures for him mainly because i don't seem to have much control over my compulsive behavior. I love to see a collection complete. Well thank you Chris for an amazing post which i will be reading again in a second. If you would like to see some of Chris's work you can find him at http://gingerjamphoto.com/, there's some great photos to look at. Its got me thinking about who am i going to ask next? Id really like Mrs M to write a post about her growing up. She didnt really have a lot of toys and id love to hear a story from the other side of things and how she feels about living in a house where toys are so important. Thanks for hosting his mate, you set it all up perfectly! 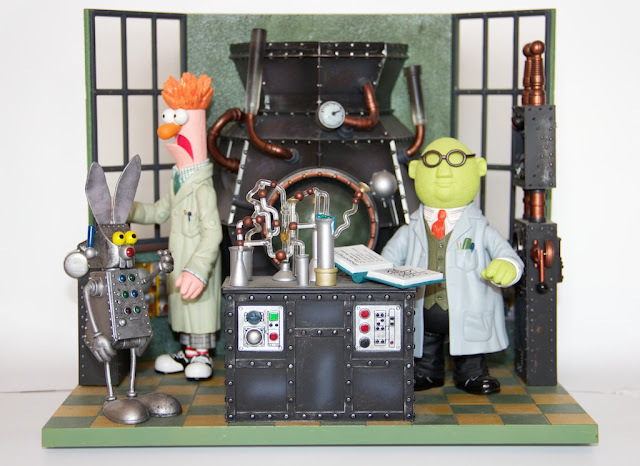 I'm sure there are some of your readers who love the Muppets too! im sure there will its a great piece. Thank you for writing it and the great pictures.